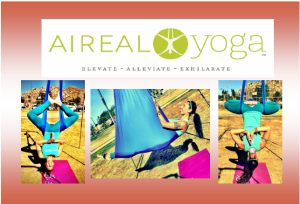 New AIReal Yoga™ At Source Studios – Start R.I.G.H.T. 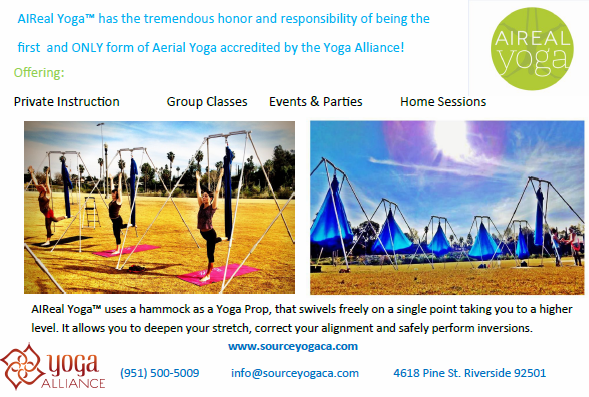 AIReal Yoga™ is the first and ONLY form of Aerial Yoga accredited by the Yoga Alliance. Uses a looped fabric (hammock) that swivels freely on a single point taking you to a higher level. It allows you to deepen your stretch, be fully supported in nature, and serves as a tool you can hold on to for balance and as a spotting device which safely guides you into postures you might have thought are reserved for gymnasts. This new form of yoga is equally beneficial for beginners and advanced students alike. 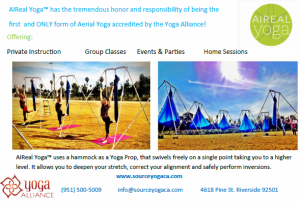 You will be practicing your fitness in the air, defying gravity, moving freely, releasing fear, and floating into a deeper understanding of your wellness. 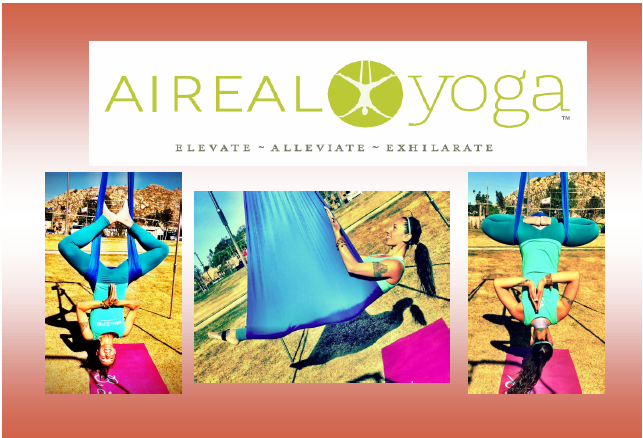 You will leave an AIReal Yoga™class feeling taller, leaner, and quite literally, higher.